Coming to a new city is exciting – but can also seem a little scary! We’ve put together all the information about your new home to help you find your way around and settle in. Nottingham has very good public transport. Buses and trams operate across the city and to surrounding areas. 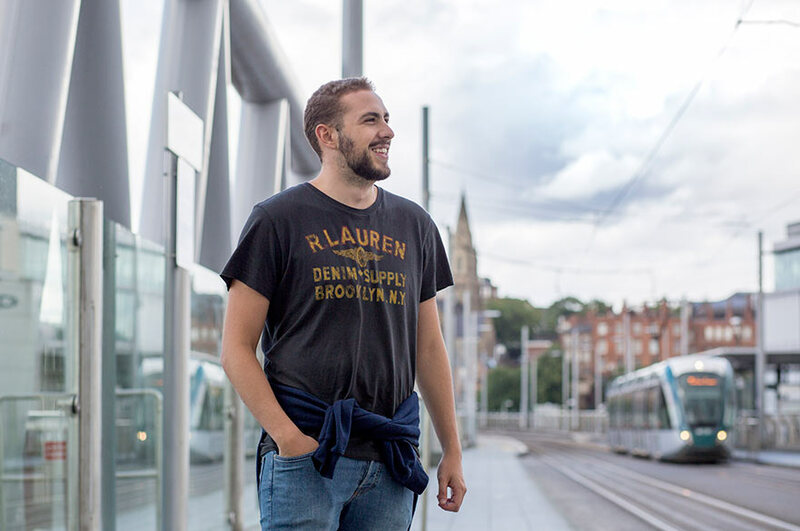 If you use the bus or tram regularly you can buy a travel pass that will be valid for a week, month or for the whole academic year. 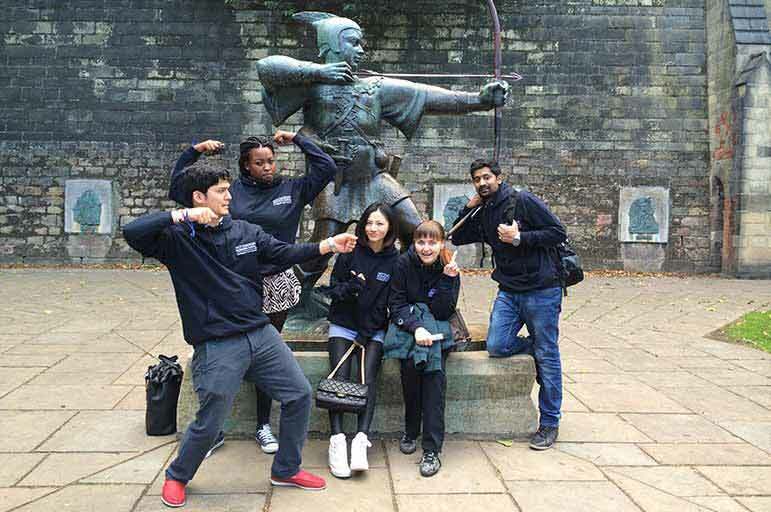 If you want to travel around the rest of the UK, and even further around Europe, Nottingham is ideally located. You can get lots of ideas about places to visit at Visit Britain. A great feature of Nottingham’s city centre is that everything is really close. 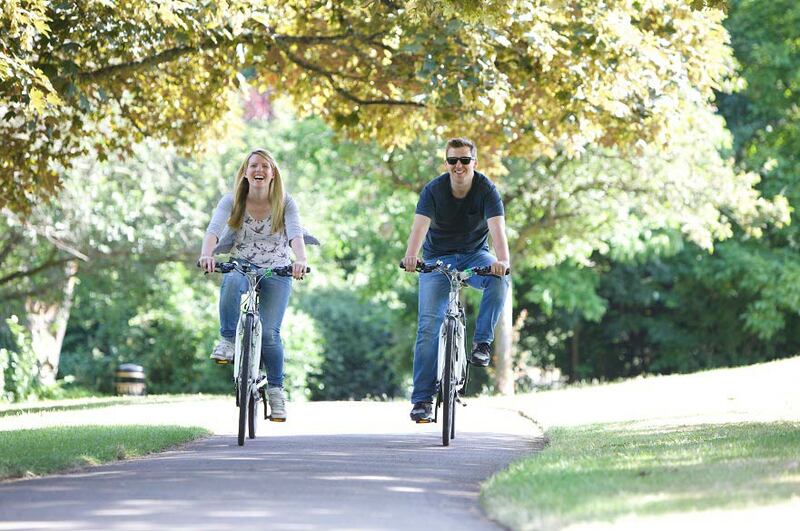 Unlike in bigger cities like London, you can easily walk from City Campus to the shops and attractions in just a few minutes. 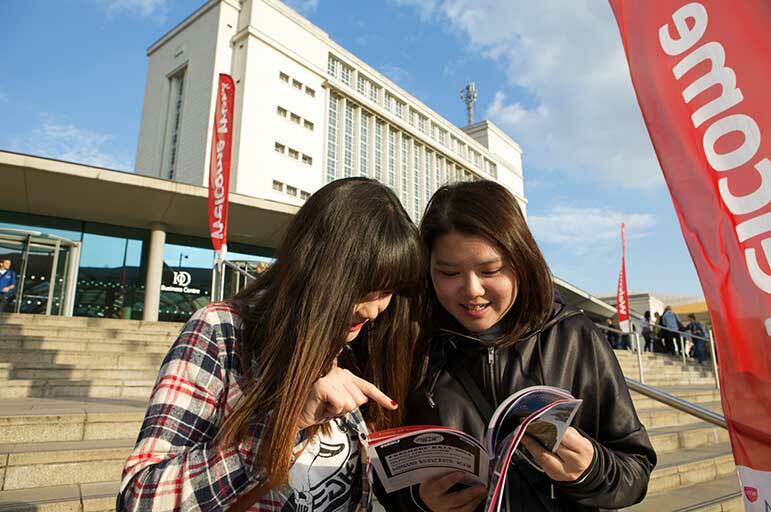 And the regular buses and trams mean you can quickly reach Clifton and Brackenhurst campuses and other parts of Nottingham too. 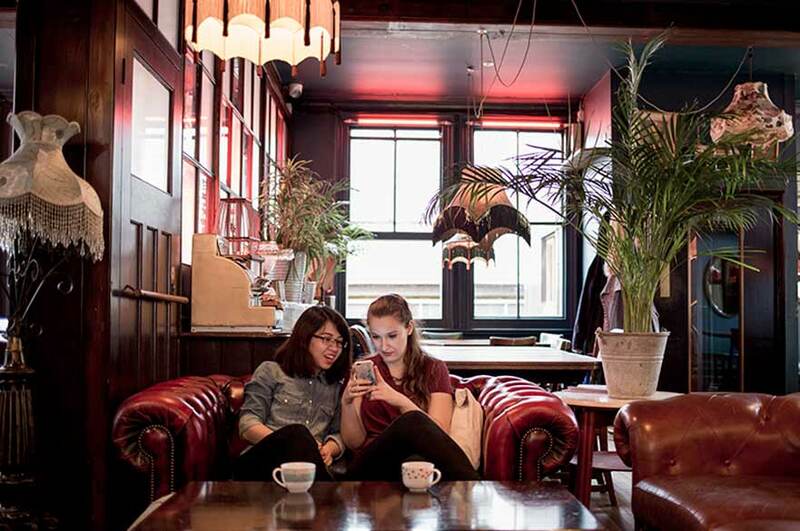 Want to get a better idea of where you’ll be studying? Take a look at our campus videos. 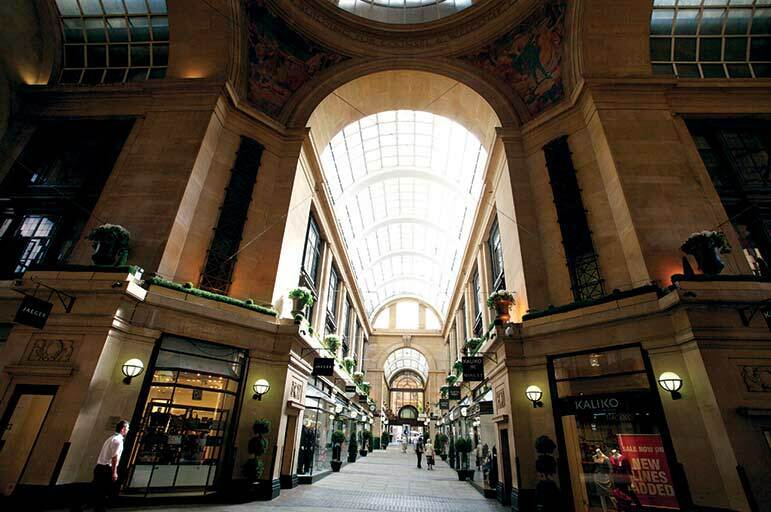 There are two shopping centres in the city centre – the Broadmarsh Centre and the Victoria Centre. You’ll find most of what you need here. 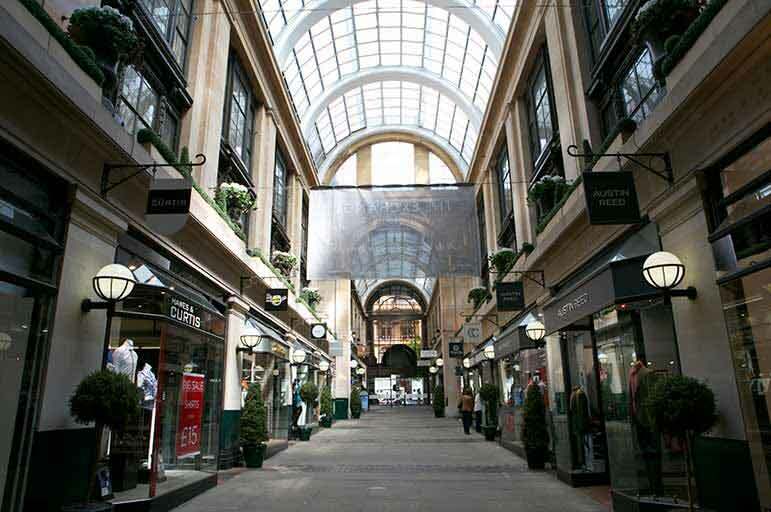 There are also high street favourite shops around the Old Market Square and designer and vintage retailers in the Hockley area of Nottingham. 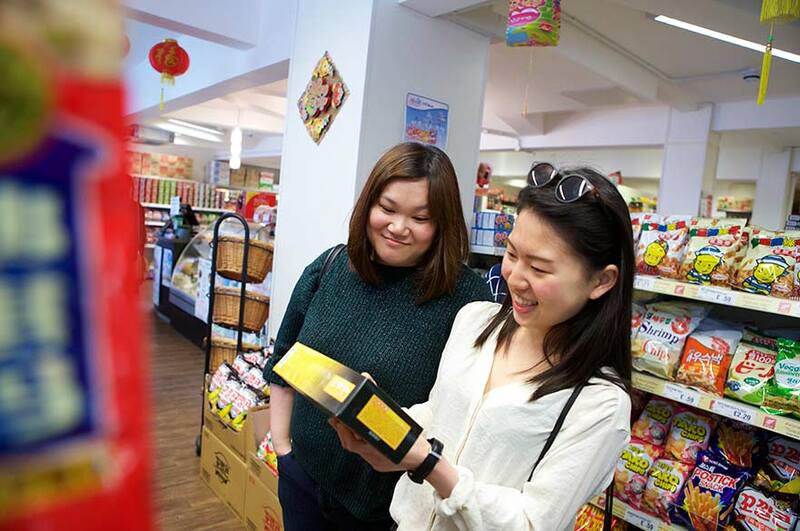 Our students tell us the choice in shopping is one of their favourite things about the city. 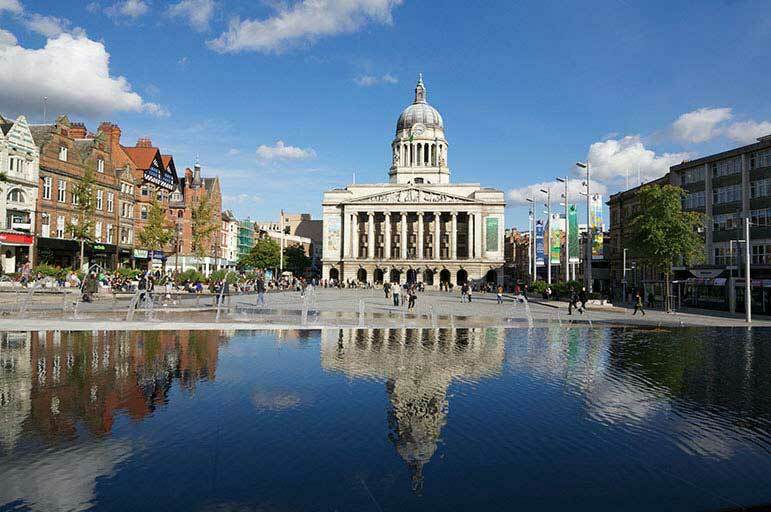 Nottingham offers a range of specialist shops and supermarkets that sell food from all over the world. You’ll be able to find kosher, halal, gluten-free and vegetarian foods easily. Some supermarkets are open up to 24 hours and there are many around the city centre and in the student residential areas. The best way to find out about the best ones is to ask other students when you’re here. 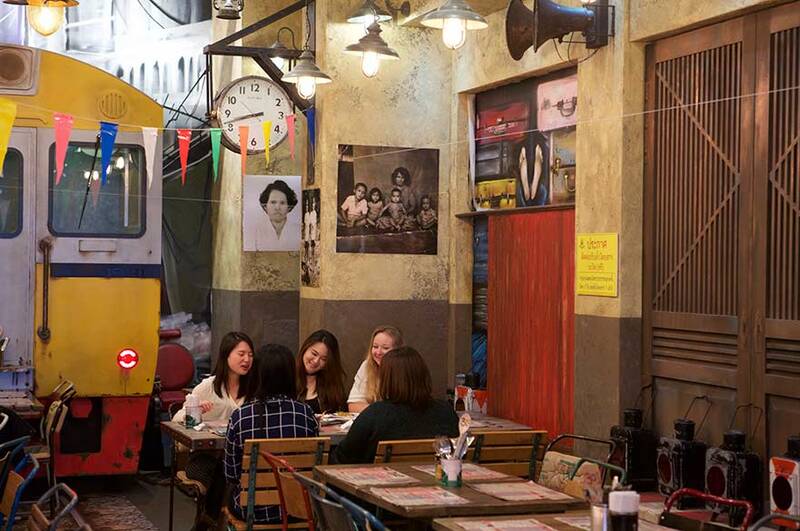 If you want to eat out in a restaurant or cafe there is so much to choose from – across the city there are over 300 places to eat and drink. 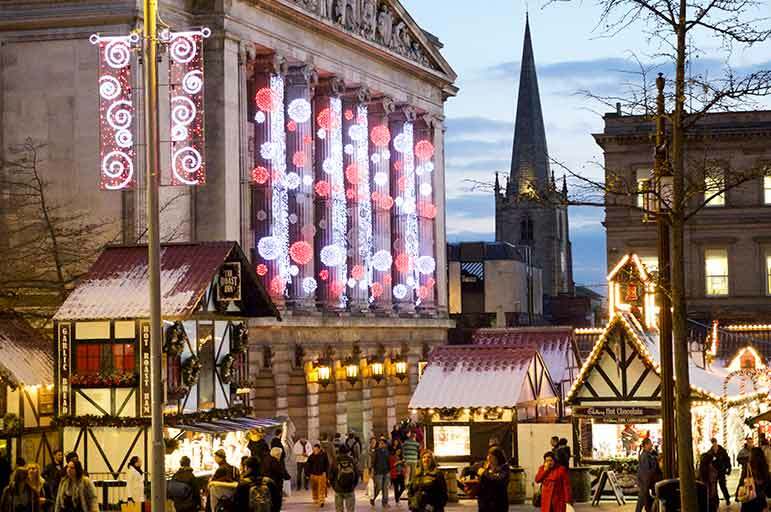 There’s always something to do in Nottingham – with events happening all through the year. Many of these take place in Old Market Square in the centre of Nottingham, the largest market square of any city in the UK. 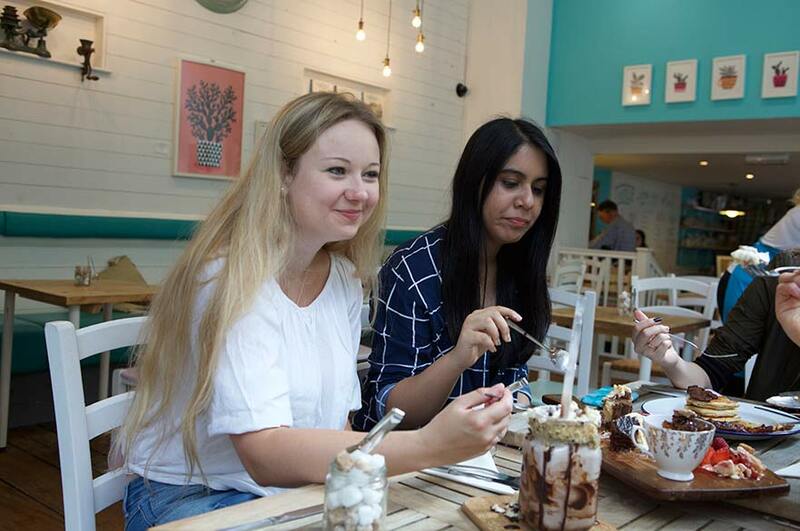 It’s a great place to meet up with friends and many of our students tell us it’s one of the best places in the city. In the winter it becomes a winter wonderland, and in the summer a beach area!